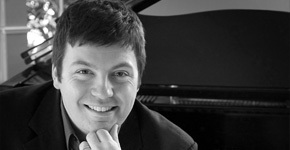 Matt is an accomplished performer, educator, and arranger who graduated from the University of New Hampshire with a degree in music education. He taught in the Portland school system for several years before co-founding the Midcoast School Of Music with percussionist Chris Marro. His recordings through the years with other musicians have garnered rave reviews from critics and his sought out as both a collaborator and solo performer. In 2008, Matt was honored as the first Artist In Education by Yamaha and has been a Yamaha-endorsed performer ever since. Chris has been playing professional since his teens and is a first call sub for several bands. Since graduating from the University of Southern Maine, he has been a music educator teaching in the Westbrook and Cape Elizabeth school systems and private lessons. He was the main drummer for the Tony Boffa Band for 2 years. In 2007, he founded the Midcoast School Of Music with Matt Fogg which offers private lessons as well as practical instruction in ensembles. 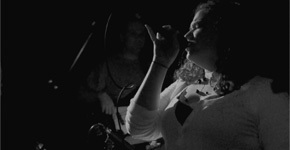 Stephanie has been the featured vocalist for the popular covers band, Retrospecticus, for the past two years. She's earned solid reviews performing as a jazz vocalist working with guitarist Scott Morgan and keyboardist Matt Fogg. Singing has been a life-long passion for Stephanie; from singing with the Morse High Jazz Singers, to winning 1st Place for the state of Maine in the Talent America Competition in 2000. She continues to develop her vocal skills and repertoire; working on a variety of projects with Matt Fogg, ranging in style from jazz and soul, to R&B and gospel. 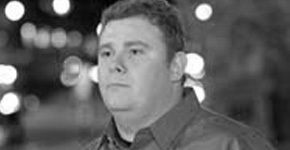 Mike started gigging regularly in college while earning his BA in English at the Unversity of Maine. After graduating he continued to gig extensively and study music privately with many area professionals and educators of note. His experience has ranged from trio and small combo work in clubs as well as playing with several of the area's premier function bands over the past 15 years. Mike was an early member of Retrospecticus before leaving to pursue other opportunities but is back in the rhythm section and churning out the grooves! Bassist Duane Edwards is an accomplished musician from Rockland, Maine. 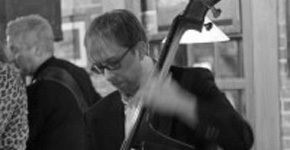 He studied at the University of Maine at Augusta with Boston bassist Greg Loughman, Thelonious Monk Institute Award recipient Steve Grover, and composer Richard Nelson. He graduated from UMA in 2007 with a Bachelor's of Music in Jazz and Contemporary Music. Duane has also studied with jazz heavyweight Ben Allison. His music has been featured on All About Jazz radio and across the United States. Duane actively performs in many popular groups, freelancing across New England and Canada. 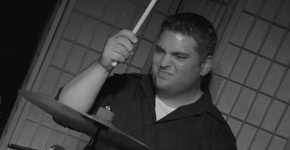 Anthony Marro graduated from the University of Southern Maine in 2000 with a Bachelor of Arts in Music Education. In college, Anthony was principal clarinet in both the University Concert Band and University Wind Ensemble, while also playing lead alto saxophone in the University Jazz Ensemble. Currently Anthony is the director of instrumental music at Morse High School in Bath, Maine, where he directs a concert band, jazz band, jazz combo, pep band and teaches courses in Music Theory, Jazz Improvisation and Film Scoring. 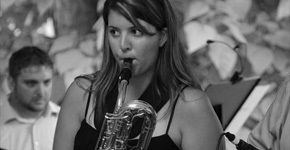 Jen Precopio has been playing saxophone since age 11 and has studied with Dr. Tim O'dell and Anthony Marro. During High School, Jen made top chair on alto saxophone for the District III Honors Band and top chair on baritone saxophone for the Maine All State Honors Band. Jen is a recent graduate of Morse High School and has played in many ensembles including, Jazz Band, Jazz Combo, and several Midcoast School of Music ensembles. She was also a recipient of many music awards including the John Phillip Sousa Award. She is currently attending the University of Southern Maine as a Music Education major. Better known as "Gramps" to the rest of the band, Mike was playing professionally before most of the group started to wear diapers. Mike started playing at the age of ten and never looked back, developing into a respected and strong lead player in the central and southern Maine area. He credits his passion for music and love of family for "keeping him young". If Mike isn't with his family or screaming on the horn, you'll find him on a river somewhere flyfishing. 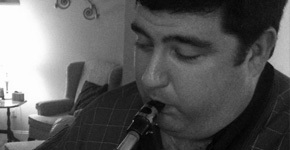 Saxophonist, clarinetist, and composer, Barry Saunders has played clubs, festivals, and concerts throughout the United States with some dates in Europe and Asia. 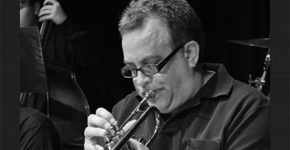 He has had the privilege to work with such notable musicians and ensembles as Conte Condoli, Pete Christlieb, OK|OK, Michael McGinnis, Stew & TNP, Brad Terry, Erik Deutsch, Clark Terry, Barry Manilow, Three Dog Night, the Portland Jazz Orchestra, the Fogcutters Big Band, Portland (Maine) Symphony Orchestra, and the New Hampshire Music Festival Symphony Orchestra. He teaches at the School of Music at USM and Bates College as well as at his own private studio. © 2014 Copyright Retrospecticus and Midcoast School Of Music LLC - all rights reserved.